Rosen Optometry (Saint Louis) - Book Appointment Online! At Rosen Optometry, Drs. Steve and Karen Rosen offer modern and complete eye exams and eye care in South St. Louis County. Our goal at Rosen Optometry is to serve our patients with top quality optometric and optical care. When purchasing a new pair of eyeglasses, many people only spend time selecting their favorite frame, but the lenses are just as important. The lens choice you and your eye doctor select together will impact the quality of your vision as well as your comfort, appearance and safety. Complete eye exams involve more than just testing your vision. They also help assess the overall health of your entire visual system and other aspects of your overall health. 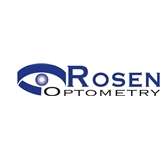 Using state of the art eye exam technology available; the optometrists at Rosen Optometry are committed to providing personalized care and attention to solve all your eye care needs. Short wait time! Friendly receptionist. Friendly Doctor.